Fayid is a small town, 20 kilometres south of Ismailia on the western shore of the Great Bitter Lake, which is at the mid point of the Suez Canal. 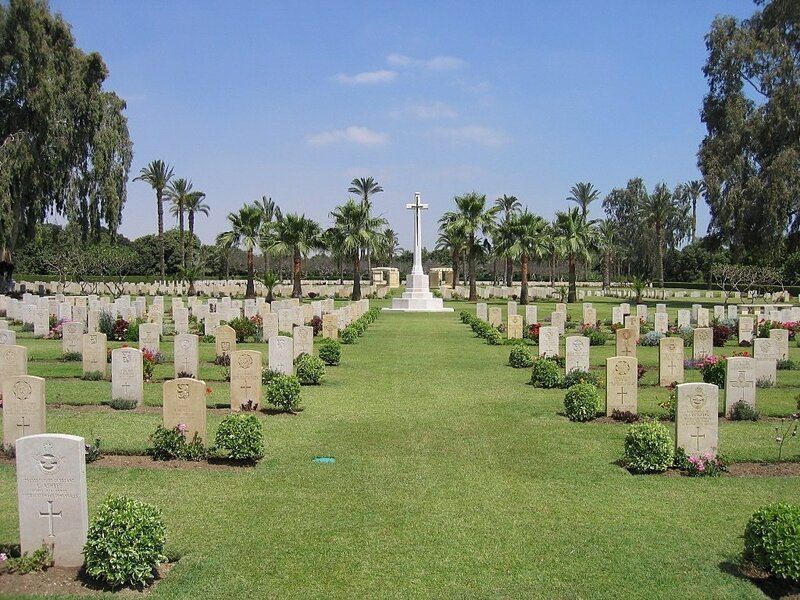 The cemetery is on the south side of the town, approximately 4 kilometres from its centre and on a connecting road between the lakeshore and the main Ismailia - Suez road. Visitors are advised to use a private car or taxi. Those using the main road from either Suez or Ismailia will find a large fish statue offset at the junction of the connecting road. The railway line 200 metres beyond and main sweet water canal 500 metres further on are crossed before arrival at the cemetery, which is approximately 1 kilometre from the road junction. Those visitors using the road alongside the Suez Canal and thereafter the skirts of the Great Bitter Lake, will reach the end of the connecting road approximately 6 kilometres south of the small roundabout at a main junction of the road into Fayid town centre. The east end of the connecting road is directly opposite a red and white painted police checkpoint. The cemetery is approximately 200 metres from the junction on the right. To prevent theft and acts of vandalism, the Cemetery Register is removed from the Cemetery Register Box by the Commission's gardeners every afternoon at 14.30 when they finish for the day. 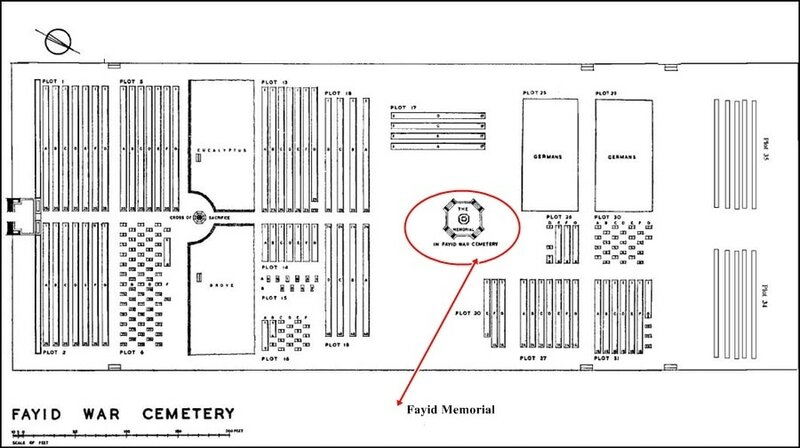 Wheelchair access possible to the cemetery via main entrance. 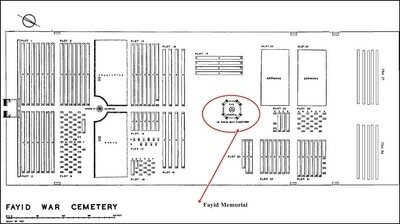 Please note that some of the rows in this cemetery contain vacant grave spaces which are unmarked but are still recorded. 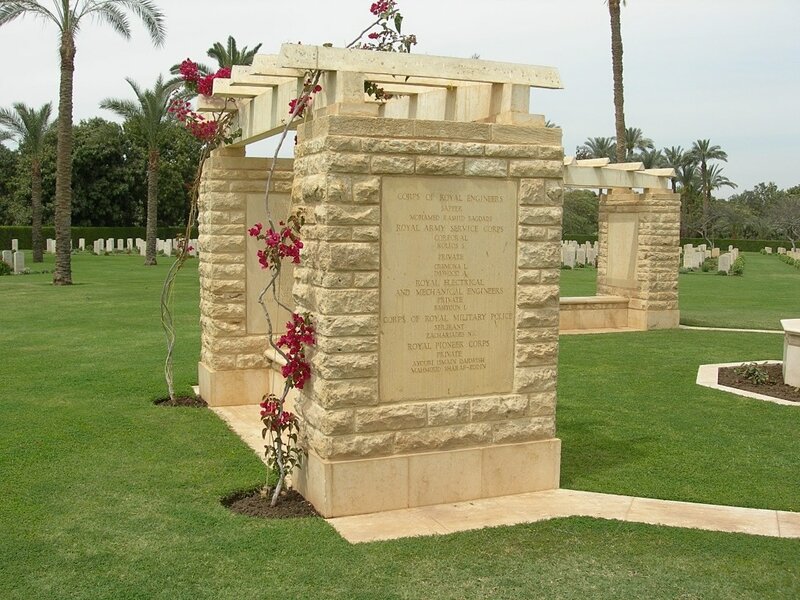 The grave numbers in these particular rows may not therefore relate to the actual headstone number on the ground, for example Grave1=headstone 1, Grave 2=vacant, Grave 3=headstone 2 and so on, the headstone number is not therefore necessarily the same as the grave number. The cemetery was opened in June 1941 (as Geneifa New War Cemetery) for war burials from the numerous military hospitals in the area. 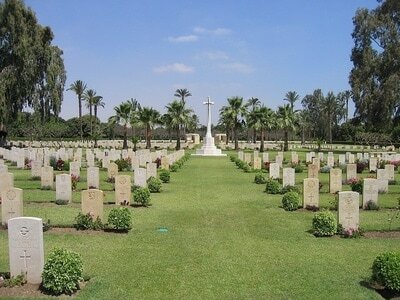 It was planned by the military authorities for ultimate use as a garrison cemetery and was so used until Commonwealth forces finally withdrew from Egypt, the last burials being made in 1955. 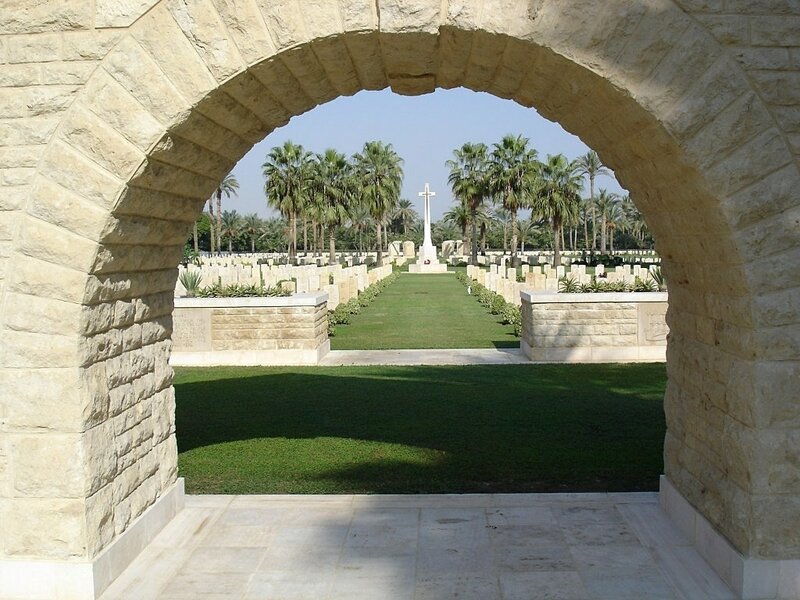 The cemetery contains 765 Commonwealth burials of the Second World War, 190 of which were brought in after the war from the remote Qassassin African Cemetery, where permanent maintenance would not have been possible. The non war graves, those of members of the forces, their dependents and civilian organisations attached to the garrison, number 616. 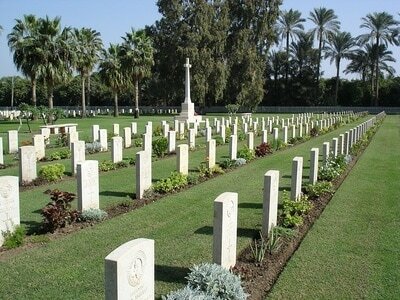 There are also 440 war graves of other nationalities in the cemetery. 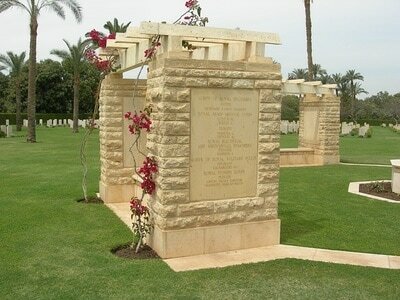 At the far end of Fayid War Cemetery stands the FAYID MEMORIAL which commemorates 265 men from East Africa, West Africa, High Commission Territories, Palestine, Middle East Territories and Sudan, serving either in their own forces or in Commonwealth units, who died in non-operational zones of Egypt and whose graves, so situated that permanent maintenance was impossible, could not be moved to a war cemetery on national or religious grounds.